The political intrigues shaping the governorship race in the ruling All Progressives Congress (APC) in Lagos State intensified yesterday as Governor Akinwunmi Ambode indicated that he would not go down without a fight, reaching out to the presidency in Abuja to intervene on his side as he battles the Mandate Group, the political machine of his godfather, Senator Bola Tinubu. Assured of the support of Tinubu, who is also the party’s national leader, to run for a second term, Ambode had flown to Abuja on Monday morning to obtain the governorship nomination forms. But by the evening of the same day, the tide had changed with two of his political siblings, Mr. Babajide Sanwo-Olu and Dr. Obafemi Hamzat, found to have also obtained the nomination forms by proxy. While Sanwo-Olu has the backing of the Mandate Group, the political machine that brought Ambode to power, Hamzat rides on the back of the Justice Group, which has the former governor, Mr. Babatunde Fashola, as its leading light. The governor, who was said to have been perplexed by the development because he claimed he obtained the nomination forms after due consultation with the party’s national leader on Sunday, had his doubts, about the position of Tinubu, cleared when by yesterday afternoon, the chairmen of the 20 local government areas and 37 local council development areas (LCDAs) had appended their signatures to the nomination form of Sanwo-Olu. With Sanwo-Olu as the clear choice even without the voice of Tinubu being heard, Ambode began his survival battle yesterday, reaching out to the presidential villa for help. 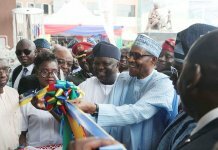 THISDAY’s multiple sources said although Ambode was not minded to look Tinubu in the face, he was being prodded by some of his loyalists and friends who believed that having done his best to take care of the political and economic interests of his godfather, he had not been treated fairly, and should consequently fight back. “Ambode says he is not a politician and did not ask to be a governor. He feels, therefore, that if he is no longer wanted by the powers that be, he should simply ease out in peace,” said a source close to him. “Bu there are some of us who feel that loyalty should beget loyalty, and that if Tinubu has become disloyal to Ambode, the governor should not go down without a fight, giving that he has goodwill not only among the people of Lagos State, but also with the seat of power in Abuja,” he added. The embattled governor appeared to be listening to his close confidants who asked him to respond to the challenge to his return bid. His strategy, said a reliable source close to the unfolding power game, is a mixture of diplomacy and war. First he would seek to persuade Tinubu to change his mind and support him. If that fails, he would fight, believing that he has enormous capacity to do maximum damage to the political fortunes of the APC in the state. Consequently, THISDAY gathered that Ambode had contacted the wife of President Muhammadu Buhari, Aisha, to intervene, the earlier involvement of Vice President Yemi Osinbajo having failed. On the home front, the Oba of Lagos, Oba Rilwan Akiolu, is expected to lead a delegation of the Council of Traditional Rulers in the state to Tinubu’s Bourdillon residence today to plead the case of Ambode. It was gathered last night that Akiolu is expected to point out to Tinubu the dangers in allowing the rift to fester. The traditional ruler is believed to be worried that the widening of the crack between the governor and his godfather could do incalculable damage to the fortunes of the APC in the forthcoming governorship election in the state. Ambode is, however, said to have a battle plan should the efforts to persuade Tinubu fail. The battle line, according to competent sources, would be drawn today if Tinubu fails to sign Ambode’s nomination form. “The governor would be presenting his nomination form to Tinubu for endorsement tomorrow (today). If he refuses to sign, it would be a clear signal that he no longer supports Ambode. At that point, he would have to activate his battle plan,” a source said. 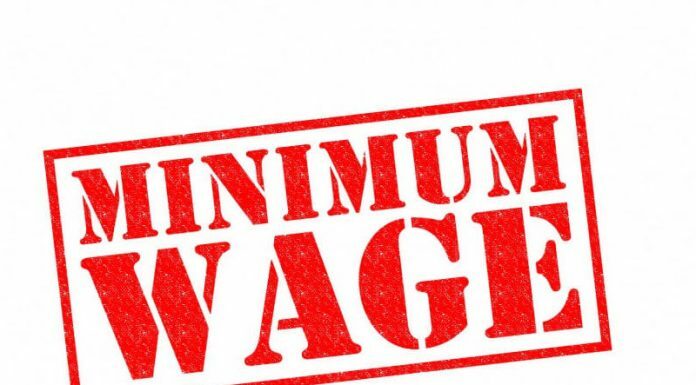 The governor is said to have placed all his commissioners and political appointees on notice that should peace fail, they would be required to rise to the occasion and mobilise their constituencies for delivery at the primary scheduled for later in the month. 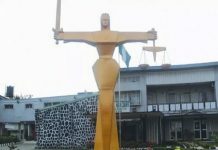 He is also said to have opened communications with Hamzat and his Justice Group, Hamzat too is said to be unhappy that Tinubu had dumped him for Sanwo-Olu. He is said to be ready to ally with Ambode in the event of a showdown with the man popularly called Lion of Bourdillon. 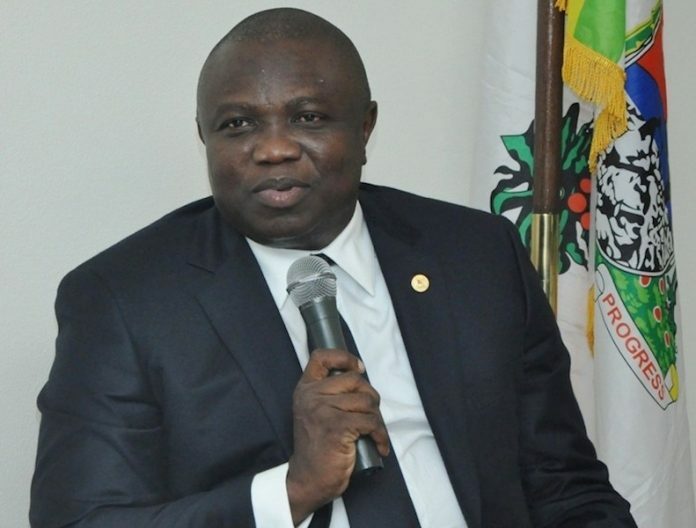 Ambode is also hopeful of support from outside as the opposition Peoples Democratic Party (PDP) is said to be waiting in the wings to reap from the fall out of the impending fight in the APC. Meanwhile, billionaire businessman, Mr. Femi Otedola, is said to be considering joining the governorship fray should his kinsman be denied a second term in the APC. Femi, a PDP stalwart, is also from the Epe Division homestead of Ambode. 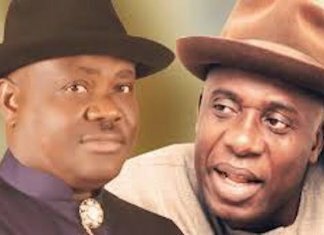 Both are said to be working on the modalities to ward off the offensive from Tinubu and his Mandate Group. There were indications yesterday, however, that Otedola had accepted an offer by the PDP to run in 2019. Although Otedola could not be reached for confirmation due to vacation abroad, but a reliable source close to him said he was seriously considering contesting the 2019 election if given the opportunity. Also, popular celebrity publisher, Dele Momodu, yesterday said PDP had offered Otedola the governorship ticket and that he had accepted it. He shared the news on his Twitter handle, @DeleMomodu. Tinubu decided not to support the re-election bid of Lagos State Governor Ambode due to alteration of the state’s major policies the governor made after he assumed office, THISDAY has learnt. 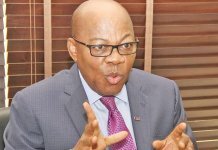 This came as some APC chieftains including former APC Deputy Chairman, Cardinal James Odumbaku and former Commissioner for Agriculture and Cooperatives, Mr. Kaoli Olusanya, allegedly directed Ambode to return his nomination form or face impeachment at a meeting held at Watercress Hotel, Ikeja Monday night. At the meeting, THISDAY gathered, all Chairmen of 20 Local Government Areas (LGAs) and 37 Local Council Development Area (LCDAs) signed the governorship nomination form of Tinubu’s anointed candidate, Mr. Babajide Sanwo-Olu. 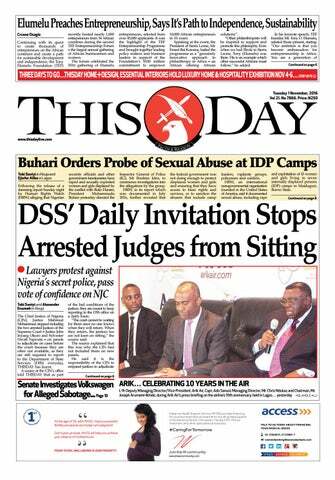 THISDAY obtained video clip, which showed some of the council chiefs signing Sanwo-Olu’s nomination under the supervision of some state party leaders led by Cardinal Odumbaku and encouraging the council chiefs to support Asiwaju’s anointed candidate. As shown in the video, Odumbaku said there was no other political group in Lagos State again than the Mandate Movement, noting that the Bola Ahmed Tinubu Campaign Organisation had been fused into the Mandate Movement. However, multiple sources revealed main reasons the APC national leader refused to endorse his political godson for re-election yesterday, ascribing it to Ambode’s decision to alter, modify and scrap some state’s policies initiated under the Tinubu administration between 1999 and 2007. While KAI was replaced with the Lagos State Environmental Sanitation Corps (LAGESC), the source said LAWMA gave way for Cleaner Lagos Initiative (CLI), which he said, designed for effective management of the state’s residential wastes. However, according to him, the CLI later created grievous waste management challenges in the state. Asiwaju see these legacies. When scrapped, Asiwaju believed Ambode just wanted to rubbish legacies. He was indeed displeased. Specifically, the source disclosed that Tinubu’s idea of public transportation “is completely different from the Bus Reform Initiative, which Ambode introduced in 2017. Asiwaju believes public transportation should be driven by the private sector.